"After years of seeing the damage caused by ordinary shampoos on his clients’ hair, celebrity hairstylist, Chaz Dean, created Wen® which takes a different approach to cleaning and conditioning hair. A single-step process, Wen® is a Cleansing Conditioner made with natural ingredients, avoiding sodium laurel sulfate and other damaging detergents usually found in shampoos— so it won’t strip your hair and scalp of their natural oils. The Wen® Cleansing Conditioner does not lather but rather feels like a thick conditioning treatment on the hair. Wen® adds sheen, luster, moisture, manageability and better color retention. " I was really excited to receive this product. I am really fond of natural and organic products and have been looking for a "wonder product". A product that does everything I want it too and is not full of harmful chemicals. The smell... is amazing. I should mention that my nose is geared for aromatherapy scents... and it is pleased. For those that are not aware of the benefits received by using Wen by Chaz Dean, I will reveal them to you! Adds moisture, body, and shine. Works great on straight, wavy, curly and ethnic hair. Leaves hair soft, manageable and touchable. Can be used before and after any chemical treatment or when hair has been stressed. Strengthening action that repairs damage, renews elasticity, and reduces chemical stress of dry, extremely damaged hair. I should mention that I have had plenty of time to prepare my hair for this review. I didn't have to do much either. The Nova Scotia humidity can take all the credit for how greasy and weighed down my hair can appear when I wake after washing it only the evening before. Now, I'm off to the shower now to give this baby a try! Okay, honestly at first I was a little skeptical. I have tried many products claiming to be natural or organic and while some have cleaned my hair, others have not. I have found that many of are only formulated for certain hair types... or are not formulated at all. Wen cleaned my hair like no other. At first because of the lack of detergents in the product it felt as though I was just massaging conditioner into my hair. There was no lather whatsoever, some people may find that alarming the very first time they use it. My scalp tingled nicely from the peppermint and I loved the mental clarity it brought as I let it sit in my hair for the alloted time. Since my hair is fine, I was able to get away with using a little less than the recommended amount although they do have a cleansing conditioner for fine hair in Cucumber-Aloe. When it was all said and done, I rinsed out the product and put a small drop in for a leave in conditioner. I wondered if my hair was going to be greasy. Often times leave in conditioner will make my hair greasy. My hair was NOT greasy. It was very clean and not in a stripped clean kind of way either. It felt nice and lively. As my hair dried it had this healthy bounce to it that I usually only see if I end up going to the salon. I was in awe to find this natural product free volume in my hair... so I went to the garage where hubby has spend the last 2 weeks building a desk (seems like a long time.... I should mention that it is his first desk and he is a very careful planner.) The ultimate test of course is his approval. Not only did he notice but he COMPLIMENTED me. This... This is an achievement!! Disclaimer: I was compensated with the product that I reviewed and all opinions expressed are my honest opinions. Clicking on any links in this post will not result in any monetary compensation on my behalf. I was given the opportunity to review this product by Guthy-Renker, LLC because of my membership at the Product Review Place. I stumbled upon a fantastic article while I was surfing some information about essential oils. I won a $50 gift certificate to Well.ca from Mom Central and Majesta and I was planning on using it to expand my essential oil collection. I tend to do additional research about the oil before I make any decisions about which oil I will purchase and while in this process I stumbled across a fantastic article about which oils are considered okay for pregnancy used in the form of prenatal massage and are also safe to use on the newborn. Also it has a list of which oils to steer clear of during pregnancy. I thought some of my expecting mom readers might find this information beneficial to them. It may seem funny that things like clove, nutmeg and cinnamon are on this list, but in actuality nutmeg is very potent and when large amounts are ingested can cause nausea. Oils are very concentrated. In fact, cinnamon oil is so potent that many people opt to use a cinnamon stick instead of the oil. Like everything though, use in moderation. Remember, each individual can react differently to each oil depending on any existing medical conditions so seeking a physicians advise is recommended! I also recommend reading the original article for its additional precautions. This week we are going to talk a bit about Orange oil which happens to be an excellent oil for the beginner and mixes well with almost all the other oils! The oil is actually cold pressed from the peel of the orange. 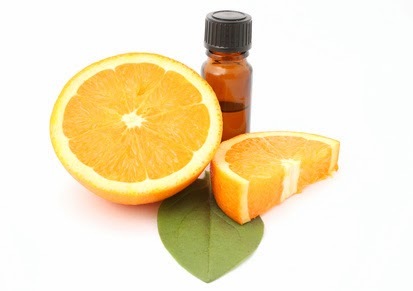 A pleasing and uplifting smell, orange oil can raise a persons spirits and energize them. Orange oil is used in many furniture polish products because it is effective at revitalizing the wood. For cellulite, mix 2-3 drops of orange oil into a carrier oil and massage into the area. To inspire creativity mix 2-3 drops in a diffuser. I would go as far as adding an additional scent that personally pleases you. I make a mix of orange and patchouli oils. For gingivitis and mouth ulcers mix 2-3 drops with water in a glass, swish around in your mouth and spit. Blemishes, bronchitis, chills, chronic fatigue, colds, constipation, coughs, depression and many more! This week for Scented Saturdays I thought that I would discuss Peppermint. 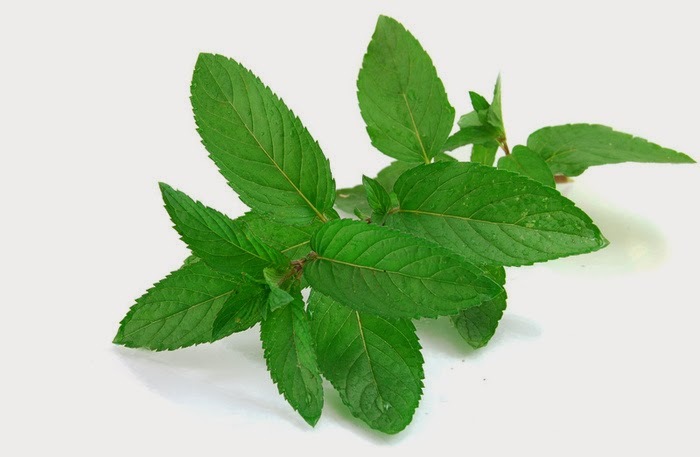 Peppermint is NOT recommended for Pregnant women or children under the age of 7 because it can cause irritation to the skin and mucus membranes. Having said that it is not toxic nor is it an skin irritant in diluted doses. Just like any other essential oil or herb, it is not recommended for prolonged use. As an herbal tea (steeped peppermint leaf...) peppermint is beneficial for your digestive system as it stimulates the gall bladder and the secretion of bile. Also a couple drops of oil in a diffuser can help aid digestion, relieve nausea and also aid with headaches relief as well. For muscular pain and mental exhaustion a couple drops in a carrier oil and massage into skin, or place a 5-10 drops in the bath with some Epsom salts. This is a new feature I wanted to introduce! I would like to talk about essential oils/herbs and practical applications for that herb/oil. My friends joke kindly about me being an alchemist... there are just so many things that one can do at home to promote their own personal well being! Remember, according to mental health we have no true definition of mental wellness, only the illnesses and we pretty much have an entire encyclopedia series on all the illnesses we can have. So, if the stressed out day to day "normal life" is the middle balance.... couldn't it be argued that we should have an entire encyclopedia series that speaks of mental wellbeing? So... stress is normal? I strongly feel stress effects my wellbeing and aromatherapy can aid in stress management. So can yoga and meditation/prayer.... and faith heals... seems like we're trying to tell ourselves something. This week I thought I would talk about one of the power herbs which would be Lavender. Lavender has a lightly floral scent, mixes well with most other oils and is very versatile. Lavender has a long list of therapeutic uses. Remember like any essential oil, they are very concentrated amounts of the herb and should be used with caution. Some oils cannot be applied neat (directly to skin). Lavender can be applied to the skin as it doesn't irritate. Two very effective ways to take advantage of the benefits any oil has to offer is by mixing it directly in a carrier oil for massage purposes, or placing a few drops of the Essential oil in the bath tub, maybe with some Epsom salts for added benefit. I should mention that if you don't enjoy the scent, its properties will not be as beneficial for you as they would be for someone who loves the smell. Smelling things that we do not enjoy just adds stress to an already stressed out body and mind. It is counter-productive. Here we go! Now its time for various random uses for lavender! As a tonic for hair growth, mix 2-3 drops into a container of leave-in unscented conditioner and massage into scalp. Rub a couple drops of oil into temples to aid in headache alleviation. There is also a pressure point in the hand that will take care of that. Also, a lavender scented hot or cold compress will help. To reduce the intensity of flu symptoms place a few drops of Lavender in a diffuser or with steam inhalation. I would recommend both lavender and eucalyptus, they would be a cold power house... maybe a little camphor and some orange oil to bring around the mood a bit... being sick can be depressing. Sometimes it is necessary to combat multiple symptoms. There are many uses for lavender and these are just a few! I hope you join me again next time on Scented SATURDAAAAAYS.